This will allow the FREGAT to increase its burn by 200s. Apparently engine testing has already started in September and should last until September 2009. Has anyone more information about this development? Will it be flight qualified in Russia or in Kourou? Does Lavochkin use the same computer on its spacecraft, or is it only rated for its upper stage? I can't say for sure... I know that Biser-4 was used on Buran and that Biser-6 is used on Topol-M. But Lavochkin's spacecrafts - that I don't know. 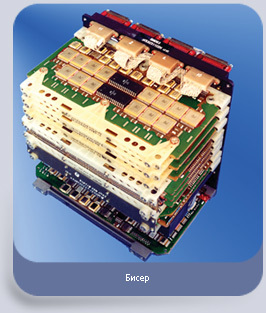 NPO Lavochkin enterprise uses Biser computer only on Fregat. They have used Biser-3 computer on this upper stage up to 2007. Since 2007 they use Biser-6 computer on it. On Elektro-L and Spektr-R spacecrafts NPO Lavochkin enterprise will use computers produced by MOKB Mars Syrov enterprise. Biser-6 - Angara, Fregat, DM-SLB, DM-03. Brilliant. Thank you. Will the same team supply the processor for the Fobos-Grunt mission next year? Will the same team supply the processor for the Fobos-Grunt mission next year? According to Novosti kosmonavtiki forum, control system for Fobos-Grunt will be produced by NPO Lavochkin enterprise. I should mention here that Fregat-SB is not just a Fregat with an extra fuel tank, but rather that the "Fregat" part of the stage is a Fregat-M, which contains small additional propellant tanks affixed to the main tanks, like giant pimples or warts. I don't know if the "M" variant has upgraded avionics. I believe that the "pimple" tanks contain about a ton of additional propellant when they are all added together. The "MU" "MT" variant of Fregat is in the works, this has similar "pimple" tanks, but they are larger. This deserves its own thread, so as not to get lost in the mix. First off, drawings of the 3 variants of Fregat, showing the small and large pimple tanks. Apparently, its possible to fit any of the 3 variants with the large SB drop tank. The "dry" mass of Fregat for the 3 variants are: 930 kg, 960 kg, and 1050 kg, which means that the small pimple tanks hold in the aggregate 500kg of prop but have a mass of only 30 kg, whereas the large pimple tanks hold 1850 kg with a dry mass of 80 kg. Again, the three variants of Fregat are the standard, Fregat M and Fregat MU MT. The "standard" Fregat, without the pimple tanks, has had some modifications since its first flight in the early 2000s. First off, there has been an extensive program to reduce the dry mass of the stage, in 3 stages. The base Fregat had a dry mass of 1100 kg, reduced to 980 kg in 2005, and now to 930 kg (not counting pimple tanks). This was largely accomplished by modernizing the electronics. The Bizer-3 flight computer was updated to Bizer-6, and the telemetry unit was updated from BR9-TsK-1 to BR91-TsK-M4. Also, lighter aluminum alloys were used in construction of Fregat. Since the old thread's link to an image of the Biser has gone bad, attached is a new image of Biser, I can't tell which version. Fregat-SBU = Fregat MT plus large drop tank. However, it should be noted that although the pimples for this version are larger than the Fregat-M pimples, they may not be exactly the same as the Fregat-MT pimples. Fregat 2 = Fregat with 2 complete sets of tanks, its unclear whether one of the tank sets can drop off. All of the current variants of Fregat have the upgraded electronics and other modifications mentioned above. One other note: for the Glonass K1 launch, we don't know which version of Fregat was used. It stands to reason that a standard version was launched, because only 1 satellite was the payload, rather than the two sats per launch which is the plan for Soyuz. IF Soyuz-2 launches Glonass from Baikonur, 2 at a time, its not clear which Fregat variant would be used. Lastly, I have never reviewed earlier Fregat payloads to see if any them used the "M" variant. I suspect that the METOP may have used the "M", but I haven't checked. Good summing up… but can you choose a different name for those tank extensions! I am probably wrong, but I have always thought that Fregat might be derived from the descent stage used on the third generation Luna spacecraft (Ye-8 series). The first use might have been as the Fobos lower propulsion stage which performed the trans-Mars injection burns back in 1988. For METOP, yes, there was a dual telemetry system as described above, but I am not sure that the dual system is used for all launches. Whether the prime telemetry system is M4 or M6, I can't say, although I do know that M6 has a mass about half that of M4, as it is a modernized version. 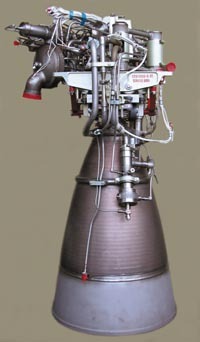 The same type of system is used in Soyuz and Progress, from the same factory, or at least that was the case until the new "M" iteration. You are not wrong, although there were some mods between 1988 and 2000. This begs the question as to the drop tanks used on the Luna series, how do they relate to the current SB drop tank? Compact Telemetry System BR-91TSK-M4 is used for recording and transmission of information via radio link, storing and playing media. System provides a telemetry signal from the information content of 800, 3200, 25,600 measurements per second battery in the radio decimeter waves (D1). Power supply system in the range of 23 to 32 pulsing, impulse noise and the drawdown with an amplitude of 2 V of any duration and frequency. Memory Capacity 8 MB of memory. The system provides measurement of 480 digital and 120 analog parameters, except that you can connect up to 63 temperature sensors. Current consumption of the feeder chain system does not exceed 3 A. Mass of the system without cables no more than 12,5 kg. The mass of the cables is not more than 2,1 kg. Compact Telemetry System BR-91TSK-M6 is used for recording and transmitting information about rapidly changing parameters WITH the transmission of information via radio link. The system provides the transmission of telemetry signals from 51,200 measurements per second on an autonomous radio UHF waves (D1). 11 parameters with a sampling frequency of 200 Hz. Current consumption of the feeder chain system does not exceed 2.5 A. Mass of the system without cables ranging from 6.5 to 8.6 kg. The weight of the cables in the range from 0,8 to 1,2 kg. Certainly, all of the documentation implies a standard Fregat. 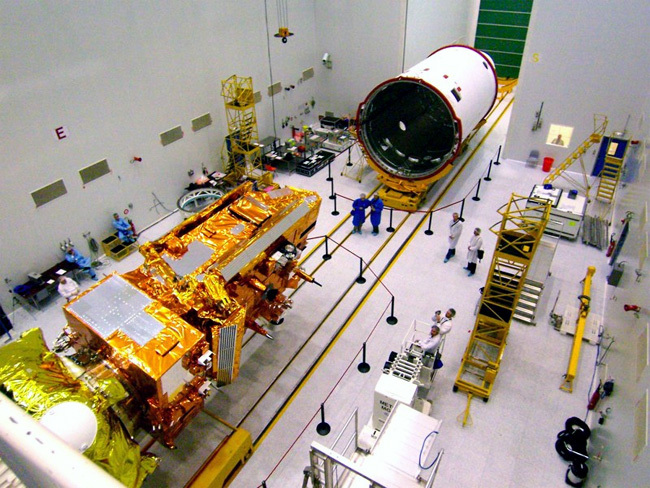 Galileo to now go up on Fregat-SB? I don't understand which Fregat-SB this video is showing. At first, I thought it was the MDU for Fobos-Grunt, but it wasn't yet in Baikonur on 7th september 2011 (date of video publication on TVRoscosmos). Caught 1031 at 1:04 so not SB, and has Soyuz interface. For next Globalstar? MetOp-B is using a Fregat M stage. 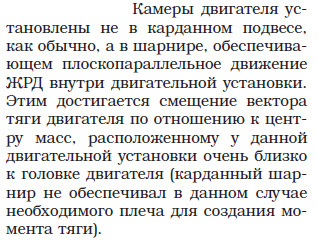 I've just found this interesting text about the S5.92, but I don't really understand what it is saying. Someone could help ? This is getting a little confusing. Fregat-M is supposed to be a standard Fregat with avionics upgrades plus the small "pimple" tanks. However, we are now seeing standard Fregats withe the avionics upgrades, so is the "M" variant simply a standard Fregat with the pimple tanks? How much longer are we going to see the standard Fregat, or will these be produced in parallel with the "M" and "MT" variants? Someone knows when this system made its maiden flight on Fregat ? Is it connected to this? Fregat-M is supposed to be a standard Fregat with avionics upgrades plus the small "pimple" tanks. I don't agree. Fregat-M is a standard Fregat with an rearranged PO1 compartment (PO1 is the location of the telemétry system). РБ Фрегат (использовался с 1-х ЛКИ, прошёл 3 этапа модернизации включая один из самых существенных - замена БВК Бисер-3 на Бисер-6). Последний раз использовался при запуске Метеор-М №1 (не считая РБ №1019 для запуска Канопуса-Б который долго пролежал в ожидании пуска). Два таких РБ были поставлены в ГКЦ в начале 2010 года. РБ №1021 был использован при запуске Pleiades-1A. РБ №1020 планируется к использованию при запуске Pleiades-1B. Французские партнёры эту конфигурацию называют «стандартной». РБ Фрегат-М (новая компоновка ПО1, увеличенная несущая способность). Первый раз был использован при запуске Глобалстар-2 №1 (19.10.2010). Последний раз использовался для запуска Метопа-Б и будет ещё использоваться для внутренних пусков. РБ Фрегат-МТ (увеличенная заправка за счёт установки дополнительных ёмкостей, доработанный ПО1, облегчённый ПхО). Первый раз был использован при запуске IOV M1 (21/10/2011). Предполагается, что во всех остальных пусках РН Союз-СТБ будет использоваться РБ Фрегат-МТ. “The engine chambers are not installed in a gimbal, as usual, but in the hinge, allowing its plane-parallel motion. Thank you for translation, YzeStudent ! But I don't understand this sentence. The S5.92 is able to control its pitch and its yaw. How could it be possible with only one hinge ? It moves sideways? Offset from the centre? Per the NPO Lavochkin website dated 30 May 2018 of new version of Fregat-SB called Fregat-SBU planned for Soyuz-5, Angara-A3 and potentially Angara-A5. A formal tender for Fregat-SBU series development is in work. Fregat-SBU is a planned universal replacement of all previous and current Fregat versions. How would that work given the different mass capacity/performance requirements of each? Something like Fregat-SB or Briz-KM with a main body and then a drop tank, and then either resize the drop tank or add more depending on the LV? It is not possible to answer that at this time. Unlike current launchers Fregat-SBU is purportedly sized for missions using 4 and 5 metre payload fairings. The design apparently takes the existing design features of Fregat-MT and Fregat-SB and combines them with new yet to be revealed features/technologies. I have asked certain people for a graphic of what it is expected to look like. Hopefully more info in the coming months. All units for Soyuz in Baikonur, Plesetsk or Vostochny are named as "Fregat". In the most sources, the Fregat (No. 1022 ? and following) for these launch sites named as "Fregat-M"
All units for Soyuz in Baikonur, Plesetsk or Vostochny are named as "Fregat"
I call them as per producer (NPO Lavochkin).